Taking a quick stop for the last installment in International Foods Week in the historically Polish neighborhood of Brooklyn, Greenpoint, in the northwestern corner of the borough. This is a Polish grocery store that focuses mostly on packaged and nonperishable foods. I am partially Polish, but I speak no Polish at all. So I assumed "biedronka" means something like grocery store, so this is Mr. B's Grocery Store, essentially. Nope! I couldn't have been farther off. Biedronka means ladybug. Hence the pictures of the ladybugs. Not that that makes any sense, though. 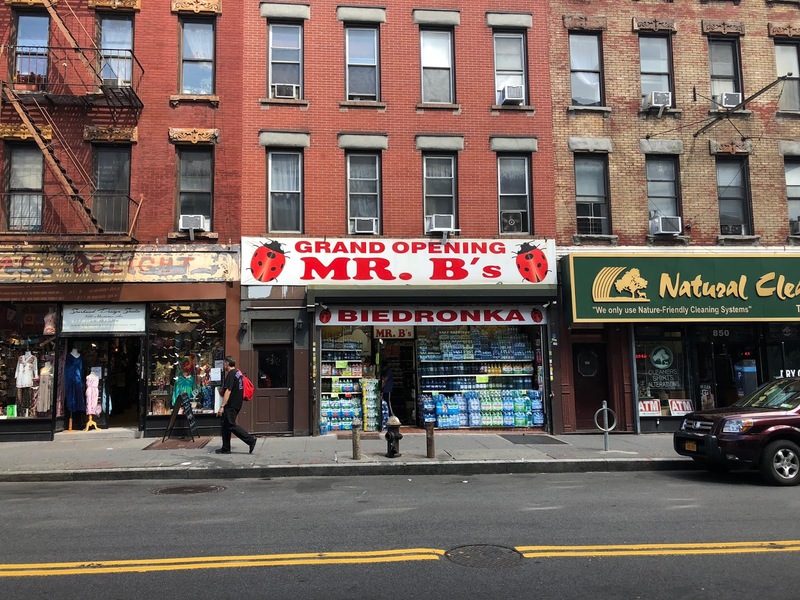 This store was previously called only Biedronka, but now it's Mr. B's Biedronka. Can anyone who actually speaks Polish help us out here? (Is the B in Mr. B's a shortening of Biedronka, so it's like Mr. Ladybug's?) 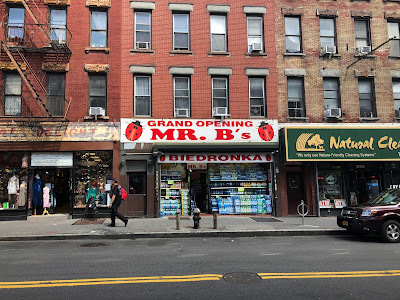 Mr. B's Biedronka is located at 854 Manhattan Ave, Greenpoint, Brooklyn.